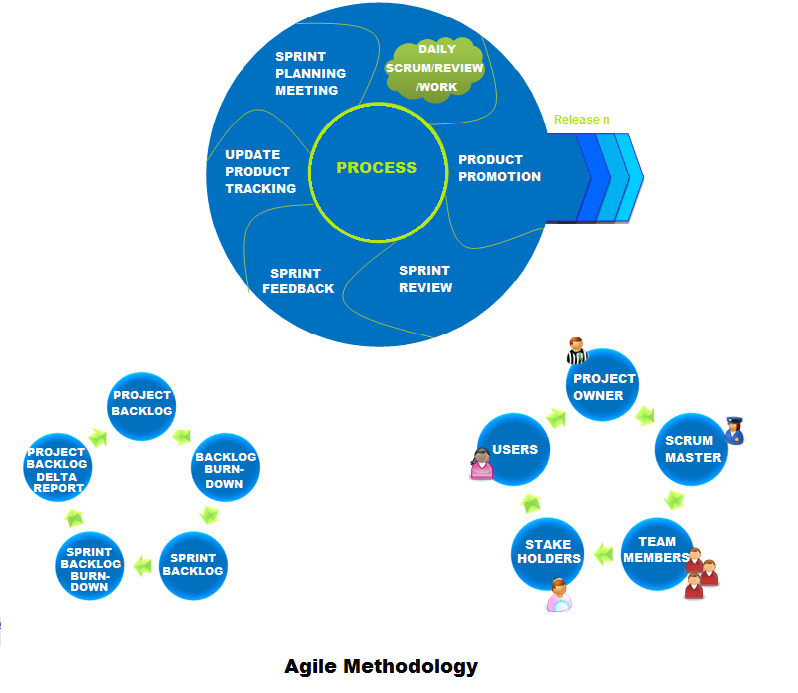 Most of the software development at IzelTech follows the Agile methodology as depicted below. Some of our legacy projects still follow the Waterfall/ Iterative model. At IzelTech, based on our rich experiences, we understand that the technology solution landscape is ever evolving and there are always market opportunities for new products/ solutions and enhanced features. Our rich experiences of working with product & technology solution companies, helps us understand the needs of such companies who want to stay relevant and tap into the new market opportunities. We consider ourselves to be partners in our client’s efforts to develop the products and solutions and strive to offer our best to make it mutual success. Our technology skills & skills to manage product development processes enable us to take up varied roles in our engagements with the clients including client team augmentation with specific assignments and complete ownership of modules, features or the whole product/solution. Our technical skills range from various OS kernel and device driver modules to UI development for various technology & solution domains. We understand the importance of User Centric Design and Usability aspects of products/solutions and can provide services for that as well. We also provide services for product documentation. We have competencies to take ownership and contribute at various stages of the development including requirement formulation/analysis, architecting & designing, implementation & QA /Testing, sustenance/ maintenance. Our generic technical skills combined with domain expertise enables us to add value to our client’s endeavors. Quick ramp-up to understand client’s requirements & existing product due to domain knowledge within IzelTech. Ability to participate and even lead requirement analysis for domains we have expertise in. Creating delivery roadmap to meet our client’s Time-To-Market business requirements. Solving technical challenges in innovative ways. Utilize our talent pool to work with cutting-edge technologies. Ability to adopt Agile Development methodologies/philosophy to work with changing requirements and providing visibility with short development cycles with more frequent milestones. 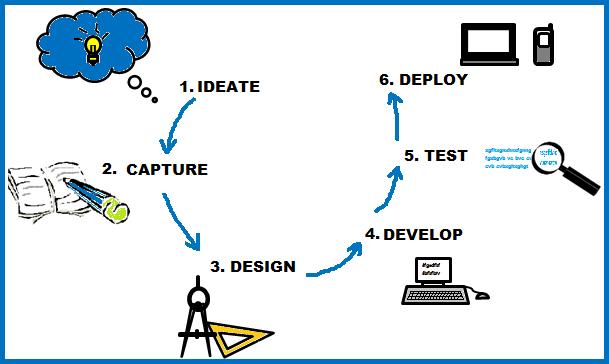 Assess & mitigate technical risks with quick prototyping. Application development is as much about technology as it is about formulating business processes and refining them. Quality application development is the touchstone of identifying an established and mature software company. Developing quality applications has shaped IzelTech’s evolution and we do the whole nine yards of it. IzelTech provides application development in the areas of Client /Server, Storage, Enterprise Systems Management and Embedded systems.